Wemo WiFi Smart Dimmer is rated 4.0 out of 5 by 123. Easily set the ambiance of any room and control your lights from anywhere with Wemo Dimmer. 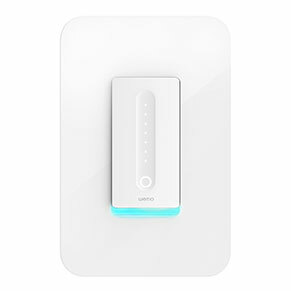 This smart dimmer connects to your existing WiFi router of your home network to provide wireless control of your lights with no subscription or hub required. From bedroom lights and dining room chandeliers to recessed lighting, Wemo Dimmer can control nearly anything that a traditional dimmer switch can. Whether you're unwinding on the couch, meeting in the boardroom, or vacationing in Barbados, you'll be able to remotely control and dim your home lighting from anywhere. Home automation at its best. Wemo Dimmer works seamlessly with Google Assistant and Amazon Alexa to give you hands-free voice control over your lights. Pair Wemo Dimmer with Amazon Alexa or Google Assistant built-in devices like Google Home to dim your lights with just the power of your voice. Want to minimize bright-light blinding when you're getting a midnight snack or checking in on the kids? With "Night Mode" you can set your Wemo Dimmer to turn on to a lower light level during specific times. Wemo Dimmer will calibrate to work with your specific type of bulb from LEDs and CFLs to incandescent bulbs. 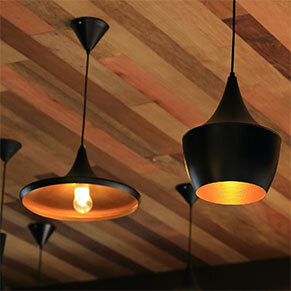 No matter what type of bulb you're using, you'll enjoy the maximum amount of dimming range with no flickering. Your Wemo Dimmer can do so much more than dim. With the Long Press feature, you can set any number of other Wemo devices to respond to a two-second press of the Dimmer button. Maybe you want Long Press to turn everything off. Or turn everything on. Or put all your Wemos into Away Light mode when you leave for vacation. If you've got two seconds, we've got a lot of options. 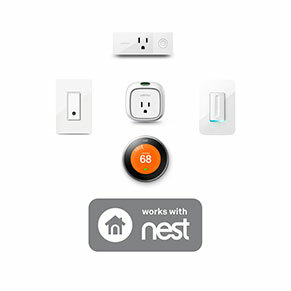 When paired with Nest, Nest’s home and away mode can sync with your Wemo Dimmer for automatic control. 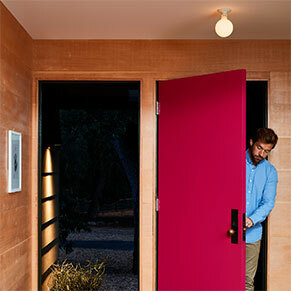 Nest can tell Wemo when you're home or away, so your living room lights can greet you when you come home, and switch off when you're away to conserve energy. Rated 5 out of 5 by Rich75 from Works really well Got it about 5 days ago. Installed it per instructions in a 4-gang box. Tapped into the neutral wire as required. 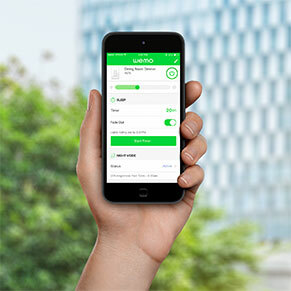 Set up wemo app on cell phone, which worked fine. Dimmable br40's flickered so changed brands to Cree and that resolved flicker. Set up Alexa using wemo skill and that worked fine. Now I just tell Alexa to "dim lights to 1" and It is perfect for watching tv. "Dim lights to 100" and I get full brightness. It took some time since this was my first one and there are some learning curves, but I expect my second one to be faster. No drop-outs in communications or anything flakey so far. If it continues to perform like this, I'm sold! Rated 1 out of 5 by Mrfixit from Ridiculous price for something that doesn't work. First one I had was a total lemon. Getting it replaced was an unbelieveable ordeal. Now I have one that "sort of" works. Unlike the first one, I can actually use this lake a nomrmal dimmer at the wall. But "remote" from my phone only woirks when my phone is in the house and on the same wifi. Otherwise the dimmer is "Not Detected." The entire reason I booughtthis was to be able to control it remotely when I'm not in the home - I'm not so lazy that I need my phone just to avoid getting out of my chair to flip a switch. If it doesn't work via cellular, what is the point of a cell phone app??????? Wrthless! Rated 3 out of 5 by Lakeman from Elegant Design, but light in capacity. Purchased this to test it out for a new project I’m working on. Hadn’t realized until I read the getting started guide that it is only rated for 150W of LED lighting. A little light for the 18 x 12W arrays in my garage and workshop. :-( Decided to test it out anyway. It had trouble connecting to my network on either of the 2.4 SSIDs, but then, somehow, indicated that it was connected to one of my 5G SSIDs (which it is not supposed to be compatible with.) Seemed to work fine but after stepping away for a bit, the Wemo app says it is unavailable. Could very well be WiFi issues, but all my other smarthome products are working. 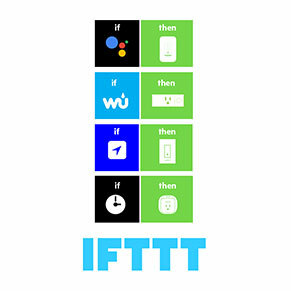 Rated 3 out of 5 by TingTing from Works great as long as you wifi is strong enough Have a few of the wemo light switch. Dimmer and non dimmer. Works great! Able to set easy schedule. However, i have one in my bedroom, it has a hard time connecting to the wifi, even having a range extender close by. What’s worse, when wifi cuts out/power outage, it doesn’t seem to be able to reconnect by it self. 5/5 times, i have to reset the wifi on the switch. Reconnecting can sometimes take multiple attempts. Pretty frustrating. Called wemo support a few times. Even had a dimmer switch replace under the 1 year warranty (keep those receipts!!). The app is not user friendly at all! Especially when you run into problems. Really hope the switch would have a better wifi receiver. 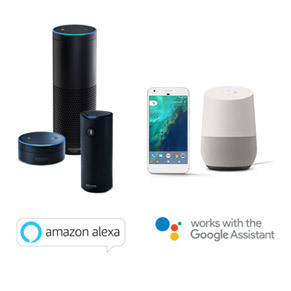 Rated 5 out of 5 by Glowplugv from It connects with Alexa! As advertised it works great with Alexa. You'll need to enable the WEMO skill but that was painless. Once named you can say "Alexa, set Kitchen to 50%" and it will happen. Very happy with the switches so far. I added these as we are remodeling our kitchen. The former owner had 3 pole switches all over the place, so when I had the electrician install the dimmer, I had them dead-end the other switch connected to it converting it to a single pole set-up. Seemed to have worked seamlessly. For the record it is controlling 4 ceiling LED lights in two locations (two switches). I also have 4 mini-smart switches controlling lamps. Everything can be voice operated by Alexa. Rated 1 out of 5 by Cam Sullivan from High Price for Low Quality Performance I recently purchased this dimmer along with my Amazon alexa. After properly installing the switch, I went through the grueling process of setting up the WiFi capabilities on my android. The app is slow, buggy, and unclear. Great it works! NOT FOR LONG THOUGH. I must've restored the switch 4-5 times and repeated the setup process only to have my alexa tell me it is unresponsive. Controlling the switch through the WeMo app works fine but as far as its compatibility, this switch is useless. Great design, love the look and feel but troubleshooting after only 2 days of use has caused me to return this item to amazon for a refund. Granted, every other wifi switch out there seems to have the same problems. As a licensed electrician and tech guru, I cant imagine how frustrating this is for others to install. Dont sell a product that doesnt work. Rated 1 out of 5 by DDBain from Incredibly Frustrating Will not connect to wi-fi, tech support unable to help. Physical installation was a breeze and the labels were well-labeled. The app is another story. I used 3 different devices, countless hard resets, changed the name and several settings on my wifi and was only able to get it to connect once. Then it needed a firmware update and couldn't complete it. I've tried two different units and have ultimately wasted 3 days on a product that shouldn't have been released. Save your time, money and headaches. Rated 3 out of 5 by FireFlyer from Works for on and off only The smart dimmer works great for simply turning on or off the lights. After giving the lights on command, I have tried every voice command I can think of to brighten or dim the lights and nothing works. Not very useful to have a "smart" dimmer switch and not be able to dim or brighten the lights via voice command. I have looked on both Wemo and Amazon websites for some help with commands and find only the sample "on" and "off" commands for this switch. Would give 5 rather than 3 stars if it was truly controllable via voice. Disappointed.